Announce the engagement to family, friends and maybe, in the newspaper. Set a wedding date & decide on the type of wedding. Make a venue selection, and book the reception at Linmarr Davao . Go ahead, take a peek at the recent wedding events that just happened at Linmarr. A wedding pictorial gallery you don't want to miss! Featuring thousands of pictures to inspire you (please allow time to load). Make an appointment with the ceremony official to discuss the service. Find out about religious & legal requirements for your ceremony. Get both families together to discuss the budget, and who will pay for what. Decide on the number of guests and make sure you check with both families. Start a wedding file to keep your notes and paperwork together. Get going with your wedding dress (Keep in mind that a few fittings may be required). Select your bridesmaids and appoint the speakers at the wedding. With your Groom, select your ideal honeymoon destination and make reservations. Design wedding stationary – invitations, RSVP cards, thank-you cards, etc. Choose your wedding colour scheme. Also remember to tell your mother & your fiancé’s mother so they can find dresses in harmonizing colours. Select a florist and discuss flowers that will match your colour scheme. Select music for the ceremony and the reception. Finalize the guest list and double check that all the names are spelled correctly and the addresses are complete. Mail or arrange the delivery of the invitations. Confirm the delivery date of your wedding dress. Make your final selection on the attendants’ dresses and assist the mothers. Start your health and fitness program at the Holiday Gym and Spa. Make an appointment with your family doctor. Brief your ceremony official and check that the documentation required is in place. Choose a guest book at Linmarr Davao. Choose gifts for the attendants. Begin writing thank-you notes for gifts received early. Make or order wedding favours. The Reception - Discuss the details of your reception with the Linmarr Davao co-ordinator – menus, drinks, etc. Talk with your Bride about the level of formality of the wedding and then order your attire. Discuss the attire of the best man and ushers. Finalize honeymoon arrangements – passports, insurance, vaccinations, travellers’ cheques. Arrange transportation for the Bride and Groom, and the guests. Assist out-of-town guests with accommodation. Decide how you will organize your financial affairs with your Bride. Follow up on unanswered invitations. Have the final wedding dress fitting to make sure you are going to look picture-perfect. 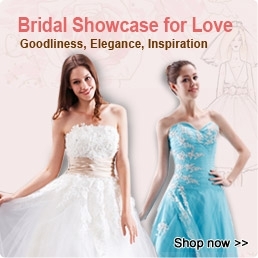 Buy bridal accessories – veil, shoes, jewellery, etc. Make appointments with your make-up artist and hair stylist (remember the trials). Make arrangements for an attendants’ luncheon/dinner & hand out their gifts. Schedule a ceremony rehearsal. It should take place one or two days before the wedding. If you’ve decided to exchange gifts with your fiancé, now is a good time to choose that special present. Arrange for the rehearsal dinner with your parents, if they are hosting it. Pick up the Bride’s ring, and double check the engraving. Pick up your best man & ushers’ gifts. Ensure that all wedding attire is ready. Select a gift for your Bride. Make it something personal that will be a lasting memory. With your fiancé, take the time to go and fill out the necessary forms for your marriage license. Phone the editors of your local newspapers to find out what information is required for you to place a wedding announcement. Arrange to change your name and your address on official documents such as driver’s license, bank accounts, insurance and health policies, etc. Draw up a wedding-day time sheet and circulate it to all the necessary people. It’s your responsibility to organize the Bachelor Party. Don’t let things get out of hand. Practice putting on your wedding dress and break in your shoes. Have one of your attendants call all your suppliers to verify they will be on time, at the right location and with everything you’ve ordered. Be good to yourself. This week especially, put your feet up for at least an hour each day. If you can, take a day off just before the wedding and pamper yourself with a facial, pedicure, manicure and massage. It’s the perfect way to prepare for a beautiful wedding. Brief your head usher on any special seating instructions. Put the religious donation in a sealed envelope and give it to the Best Man who will hand it to the ceremony official just before or after the ceremony. Move personal things to your new home. Help her do the same. Check that all speeches are prepared. Discuss all details with the Bride and Groom well before the ceremony and brief the ushers’. Remember, you are also in charge of handing out service sheets, mass books, etc. Have a massage to start the day off feeling great. Get dressed 2 hours before the ceremony. Relax and enjoy the day – remember to pause once in a while to take it all in – it’s the details what make it all so special. Take an emergency kit with you – things a Bride may need such as a needle and thread, hairpins, nail polish, aspirin, water, etc. Check the Groom’s outfit. Put the marriage license safely in your pocket. Make sure the rings are in one of the Groom’s safe pockets. Call the ushers to make sure they arrive at the ceremony on time and that they know their duties Remember you’re in charge here. The wedding official takes his / her place at the front of the church. The Groom and Best Man stands ready (The Best Man stands to the right of the Groom). The organist begins the procession music. You and your father start slowly walking down the aisle. Following the ceremony, the Maid of Honour, escorted by the Best Man, goes with the Bride and Groom to participate in the signing of the marriage registry. The Best Man helps organize the wedding party for the photographs after the ceremony. He also makes sure all the guests have transportation to the reception party. He escorts the Maid of Honour to the reception. Now is when the Best Man takes over as the Master of Ceremonies. He is responsible for overall timing, replying to the Groom’s toast, the Best Man makes his speech, reading messages or cards from absent friends. Ask your mother to send your gown to be cleaned. Make sure all the bills have been paid. 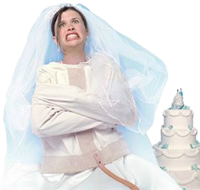 Planning a wedding is a formidable task but, fortunately, no one expects you to do it on your own. So delegate, delegate, delegate. "Lisod, pero naay paagi"